Why are my tomatoes are turning black? How can I get my plants to bloom? As a Cincinnati gardener, your garden is exposed to Cincinnati weather. 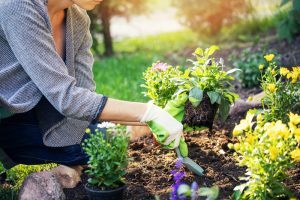 Before you plant this spring, make sure to get your garden plant-ready by prepping your flower beds for spring planting it is as easy as one, two, three! Get rid of winter debris in your garden beds by raking and removing sticks, leaves, and blown in papers. Also, be sure to remove last year’s annuals and overwintering perennials. Don’t forget to rake out any winter weeds! You are what you eat. Your plants what they grow in. Be sure to prep your soil. You can prep your soil for spring by raking or tilling in soil amendments such as Pine Soil Conditioner, The Cow (composted manure), etc. By adding organic matter, it creates soils that are alive with microbial activity, earthworms, etc. that will create an environment to grow healthy plants. 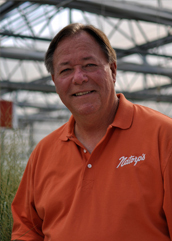 Natorp’s Horticulturalists / Plant Specialists – our horticulturalists are located throughout Natorp’s Outlet to provide expert advice on plants and plant selections. Look for the people wearing orange shirts! Search Natorp’s Online Plant Store for your perfect plants. You can save your plant list and bring into the outlet or purchase online and pick up at the Natorp’s Nursery. If you need extensive design help, contact Natorp’s Landscape Design at (513) 398-4769. Our Natorp team is ready to make your Cincinnati gardening simple! If you have any garden questions, Click here to contact our experts. Natorp’s Outlet Opens MARCH 27th! Natorp's Leading Garden Expert. Listen to In the Garden with Ron on 55KRC. Stop on by our conveniently located nursery and begin a unique and exciting journey. Our nursery houses over 1,000,000 plants and is the largest nursery in the area.